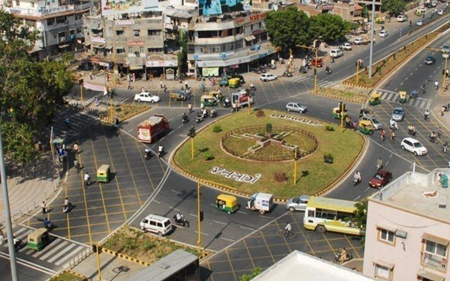 Gujarat?s roads have been hailed as good infrastructural achievement of the Government of Gujarat. In the last one and a half decade, Gujarat?s road infrastructure has emerged as one of the best in the country. The state?s Roads and Buildings Department (R&BD), with support of the Government of Gujarat, continues to deliver a good quality and well serviceable road network. With time, road length has increased and the volume of traffic which it caters to has also gone up. Yet, a different approach of looking at the road as an asset and then improvising on it, has been giving improved mobility and accessibility to the users. In the last six decades, the length of the road network under R&BD umbrella has increased tenfold. Currently the state has 80,909km of planned roads and the length goes up to 112,331km if unplanned roads too are included in it. Almost half the length of National Highways in the state is of four or six lanes and about 75% of State Highways are either Standard Double Lane or Intermediate at present, with good riding comfort and connectivity. More than 98% of state highways and over 96% of major district roads in the state have bituminous surface; more than 85% of other district roads and village roads are bituminous too. More than 99.14% rural connectivity has been achieved by the virtue of well-connected overall road network. In terms of exceptional connectivity, better accessibility, good serviceability and safer drive, the present road network is rated as one of the best in the country. To continue with the developmental agenda, authorities have given a shot at having macro level valuation of the state?s road assets. Having an accurate and factual estimation of such huge road infrastructure is a big task. On a conservative estimate, the present roads are valued at ? 40,000cr. Scientific asset management ? computerised or documented ? gives better insight into the matter. With it, R&BD was able to initiate better maintenance regime and improvements, and importantly, appropriate funding at the right time. The Government of Gujarat (GoG) supported the scientific priority and accordingly, plan allocations are kept on the rise for the road sector. In particular, the 1992-97 plan allocation was about a ? 100cr per year which has, in the current plan, reached above ? 2000cr a year. The recent trend shows the Government?s continued commitment towards road infrastructure with preceding year?s (2012-13) budget allocation itself being ? 4260cr for road sector alone. What makes a difference here is that the government gives importance not only to building of roads, but also to religiously maintaining them as assets. The World Bank has published a report, ?Institutional Development and Good Governance in the Highway Sector – Learning from Gujarat?. The report emphasises on international best practices in Gujarat for reforms in the highway sector. This is successfully implemented at an investment of `1600cr by R&BD through 2001 to 2007 with the World Bank assistance. The project includes the widening and strengthening of about 850km of state highways in addition to strengthening work for another 1000km under various phases. GSHP is considered by the World Bank as a project exemplifying environmental, social and procurement issues. Some of its major achievements include enhanced mobility, reduction in transport cost and travel time; overall connectivity; enhanced qualitative infrastructure to community; training and exposing R&BD engineers to the use of modern construction techniques and equipment; and up-gradation of local contracting industry. The improvements carried out under GSHP are 92km for four laning, 758km for wide two laning and 1000km for rehabilitation (maintenance). Fusion of Civil Construction with Environment: R&BD, GoG is going ahead with GSHP-II for about 1100km with an investment of about ? 3600cr with the World Bank (WB) assistance. It is envisaged that project period will run through 2013 to 2018. ???? ?The current plan road network size of 74,111km is among the highest in terms of network density per sqkm in India?s states and is among the best managed networks among all the Indian states. The annual road sector allocation has grown from USD 30 million in 1995-1996 to an impressive USD 610 million in 2010-11, currently the second largest among all the Indian states.? ???? ?There were three main drivers of reforms in the Gujarat Road Sector: vision, necessity, and exposure to international best practices.? ???? ?The reforms undertaken in the Gujarat road sector during the late 1990s-mid 2000s had a major impact on a number of critical areas, in particular, administrative costs, maintenance backlog, maintenance funding, and efficiency of service delivery. ?